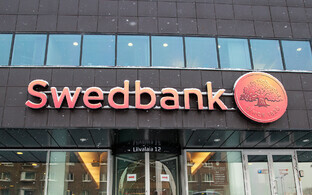 Swedbank's shares have taken a dive and the bank has lost some 25%, or at least €6 billion, of its value compared to the time immediately before money laundering suspicions against it were first raised. Events at the bank's Stockholm headquarters are also worrying for shareholders of the Estonian branch, local observers think. While the situation in Stockholm is chaotic, there is no immediate reason why the bank's customers would need to be worried, Jaak Tõrs, in charge of the Bank of Estonia's financial stability department, told ERR on Thursday. 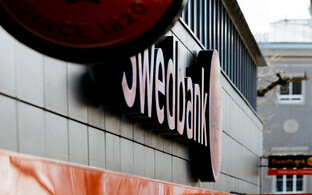 "Swedbank's financial condition is very good, and because of that, depositors really don't need to be worried," Mr Tõrs said. "Recent news mainly concern shareholders, and looking at the share price over the last few weeks, which really have dropped by several ten percent, they really do have a reason to worry," he added. As the bank currently has the financial means to handle penalties, the most recent developments affect future profits more than Swedbank's current situation, Mr Tõrs said, where the penalties would be felt. The confusing behaviour of the parent company's management in Stockholm over the last few days does have the potential to affect the Estonian business, Tõnn Talpsepp, economist at TalTech, told ERR. "We're in a situation where we've got the CEO of Swedbank Estonia appearing before reporters and essentially not saying anything," Mr Talpsepp said. "To be honest, this is ever so slightly worrying in the Estonian perspective, that the public relations strategy changes so suddenly now that the [parent company's] CEO is changing and more changes could be in store for us here as well." All of this will affect shareholders. "As long as the general public and the shareholders don't know what else there might be coming, people will be worried, and this certainly won't have a positive effect on the share price," Mr Talpsepp added. 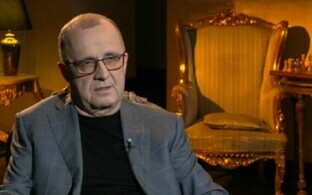 What will happen next in terms of money laundering suspicions, the involvement of the Estonian branch and the further investigation of the case is difficult to say, sworn advocate at Sorainen, Norman Aas, told ERR on Thursday. 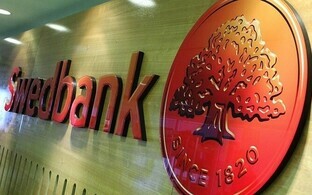 It all depends on what is going on at the bank's Swedish headquarters, potential new insider information and the potential breach of stock market regulations, Mr Aas said. "As far as I'm aware, the investigation doesn't directly connect with the Baltic banks," he added. "Regarding this investigation, I think that the bank's regular customers don't need to be worried. 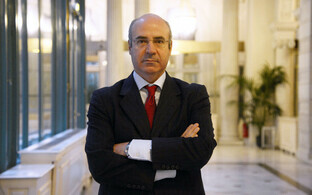 The shareholders though, who have already suffered a clear loss, they are affected." The bank could only be prosecuted in Estonia for serious violations, for example if it is found that they were aware of the money laundering going on. But basing any accusations simply on a lack of care or a laissez-faire attitude at the Stockholm headquarters, that would be difficult, Mr Aas opined. 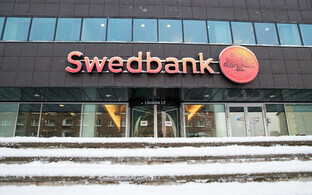 Swedbank's board of directors dismissed CEO Birgitte Bonnesen immediately before the bank's annual general meeting on Thursday. Ms Bonnesen is the second Nordic bank CEO toppled in connection with money laundering suspicions after Danske Bank CEO Thomas Borgen took his leave in September last year. 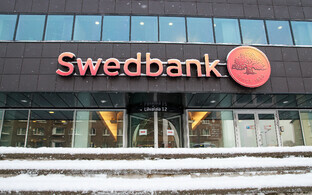 While the bank looks for a new chief executive, Anders Karlsson, previously Swedbank's chief financial officer, is leading the company in the interim. According to law and common practice in Sweden, shareholders relieve management of its responsibility after a successful year, thereby freeing them from any future damage claims for their actions at the helm of the company. In Ms Bonnesen's case, 74% of shareholders present at Thursday's annual meeting voted against such a step, theoretically still making claims against Ms Bonnesen's assets a future possibility. Meanwhile, the 62-year-old bank manager leaves with a sure compensation of 21.5 million Swedish kronor, or €2.1 million.